The primary difference of the G2X-B-FOR and the G2X PRO | G2X-B-FOR LED Head is made from high-strength aerospace aluminum, black hard anodized for superior resistance to wear, and features a tough high-temperature polycarbonate window that resists both impact damage and extreme heat. G2X-B-FOR Model also includes a extra-long fluorescent lanyard. 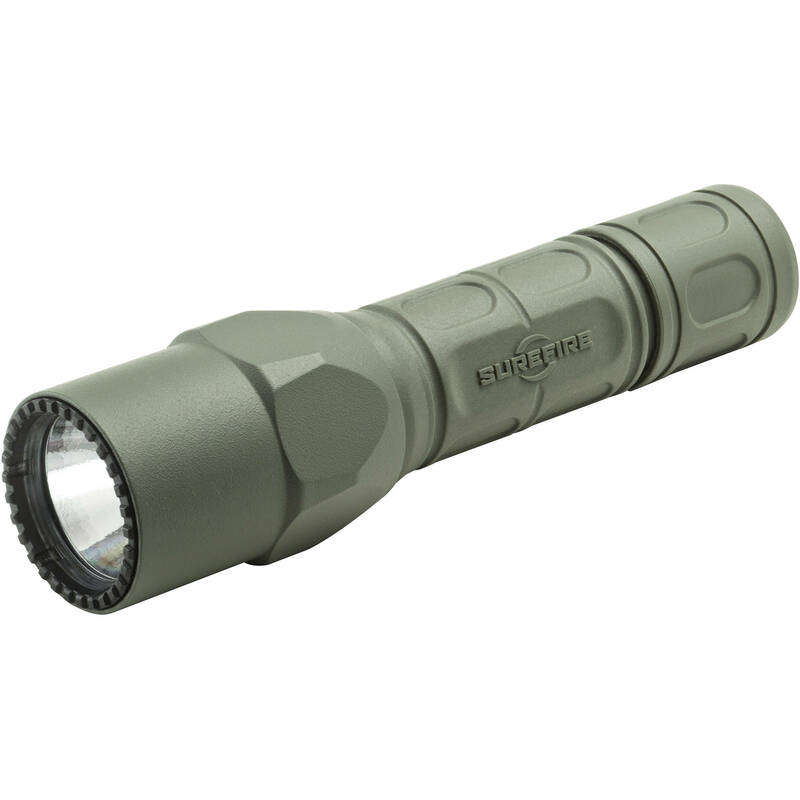 The G2X Fire Rescue Pro is a powerful dual-output flashlight designed specifically for firefighters, paramedics, EMTs, and other first responders, but it can also serve as an excellent outdoor/general use flashlight or emergency/disaster light. The virtually indestructible LED and precision micro-textured reflector create a smooth, perfectly focused beam in two output levels. 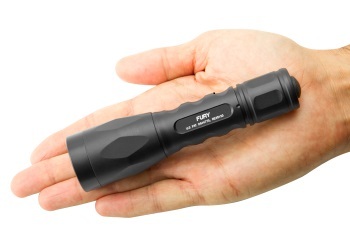 Press or click the ergonomically-positioned tailcap switch for a 15-lumen output that provides plenty of illumination for most closer-range lighting tasks, navigating in the dark, or greatly extending the runtime per set of batteries — a valuable option if you’re in the field. 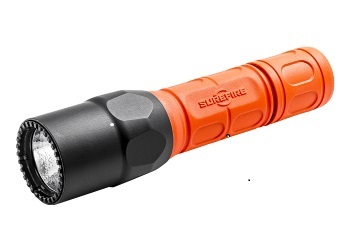 Press or click again within two seconds for a brilliant 320-lumen beam with a brighter central area that can reach deep into the dark but which has enough surround beam to accommodate peripheral vision. 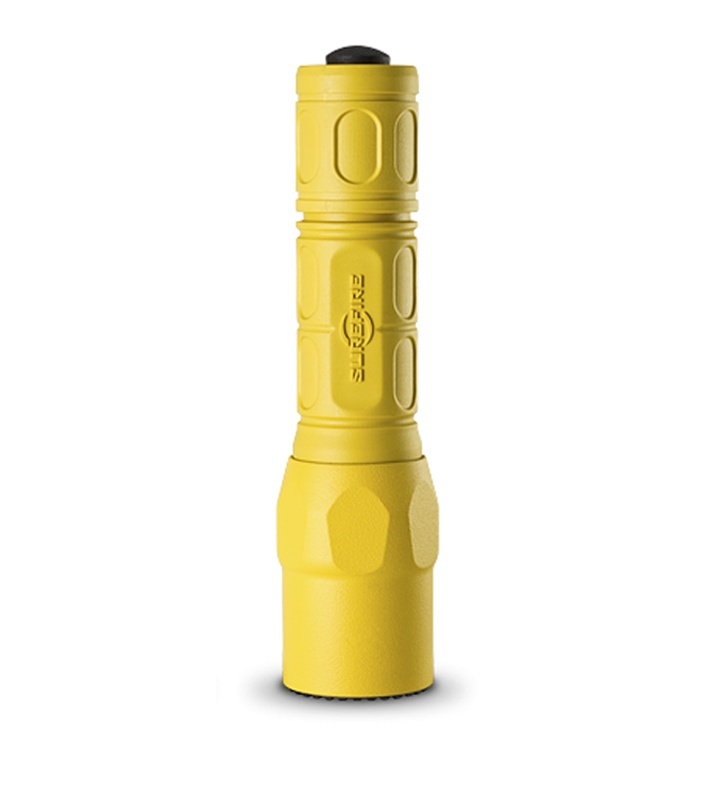 This compact weatherproof flashlight features a tough, smoothly sculpted Nitrolon® body that resists scratches, abrasion, and corrosion and provides a secure, comfortable grip in cold weather; the fluorescent orange color provides maximum visibility in low light conditions. 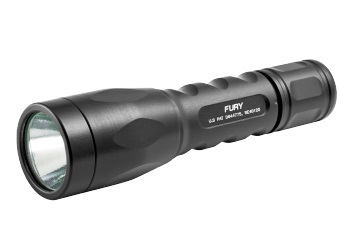 The head is made from high-strength aerospace aluminum, black hard anodized for superior resistance to wear, and features a tough high-temperature polycarbonate window that resists both impact damage and extreme heat. Tough, lightweight fluorescent orange Nitrolon® body.